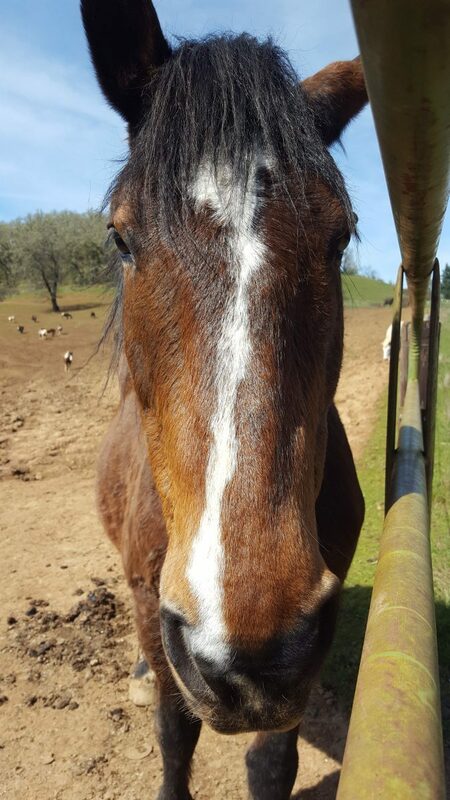 Duchess Sanctuary is located on 1120 acres in Oakland, OR and provides a forever home to 191 horses and 5 donkeys; all formerly abused, abandoned, neglected or homeless. The majority of the horses are mares and their offspring who were rescued from the Premarin industry (to learn more about this appalling practice please visit www.fundforanimals.org/duchess). Other residents include orphaned mustangs, as well as horses rescued from auctions and feedlots. Duchess is operated by the Fund for Animals, in partnership with the Humane Society of the United States. I’ve been honored to volunteer at Duchess for just shy of 3 ½ years. On my weekly visits I offer Reiki to the horses. Simply said, I meditate with them and focus on creating a space of compassion, peace, and balance. The horses decide if and when they want to participate and what that looks like. I trust that they know what they need. One of the groups of horses at Duchess is called “The Big Herd”. This herd is comprised of 100 Premarin mares and their offspring. Recently one of the herd members died and I felt called to offer Reiki to both honor her and support the surviving herd members. When I visited a few days later it was a beautiful spring day and while I often get distracted by other horses, I didn’t that day. I felt like I was being guided to The Big Herd. Even writing this brings tears to my eyes, the calling was so strong. My single purpose was to be with this group of horses. I wasn’t driven by sadness for them or myself, we were just meant to share some time together. When I arrived at their pasture I was reminded how serene this setting is. I stood for a time just taking it all in: breathing in the fresh air and enjoying the beauty of both the horses and the scenery. This group of horses is allowed to “just be” horses. Staff give them food and water daily so check them regularly (they also have their feet trimmed, are vaccinated and dewormed, and receive dental care as needed) but they don’t have immediate needs requiring a lot of other human contact. Some of the horse are more comfortable with people than others. The pasture is secured with an electric fence and I stood outside of a gate that was not electrified so the horses could interact with me if they wanted to. The majority of them were grazing in the distance, some were nearby. As I stood there enjoying the peace, I began to focus on creating a space of compassion by opening my heart. I invited any horse who was interested to share this space with me. Compassion is infinite so they certainly didn’t have to be right there with me. However, one horse immediately came up to the fence to interact, others moved closer, and many in the distance turned and faced me. Sometimes I make a conscious decision to sing a Reiki chant with the hoses but today I felt “guided” to do this. The chant I sang means focus and helps us connect to our true nature. It’s very grounding. More horses turned, more moved closer, some came closer to the gate (the horse who originally came to interact with me claimed this area as hers but would occasionally allow others to briefly approach the gate). Penny was the horse who had just died and her presence was strong, the space was filled with love. 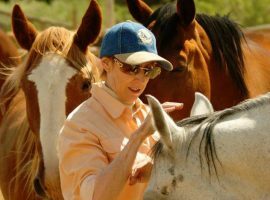 I could see that the horses were physically relaxed and could feel in my heart that we were all connected heart to heart; myself, Penny and the rest of the herd. That is what Animal Reiki space is like. The following quote describes this experience so accurately, “…no separation between the ending of one and the beginning of the other. Feeling on the inside the way things looked on the outside let me know I was part of everything else and everything else was part of me” (from the book, Animal Wisdom, Learning from the Spiritual Lives of Animals by Linda Bender, DVM). Time was endless and when I had to eventually check the time I couldn’t believe I’d been chanting for an hour. It felt like a matter of minutes. As I closed the chant some of the horses near me immediately grew restless so I chanted for a little while longer. They calmed and quieted again. I finally had to stop and as I thanked the horses for sharing this space with me, the main horse took a few steps away and let others approach me. We all thanked each other. I spent over an hour and a half with this herd and it was an hour and a half of sheer ease and joy. Contentment. Peace. Gratitude. Fulfillment. I could have stayed all day. 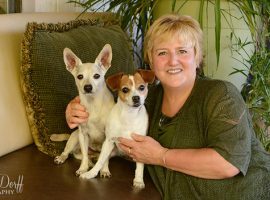 I decided to send an email to my Animal Reiki teacher (Kathleen Prasad) about this experience. It’s always my goal to be open to the lessons animals teach me, but Kathleen’s response helped me understand this particular experience more fully. I offered Reiki to this herd to support them with the recent death of Penny and to honor her. However, “the universe” knew it would also be helpful for me to receive support with some issues that had recently presented themselves in my life. All of the horses, Penny and the other herd members, also held this space for me. What a special example of how when we share a space of compassion and peace with animals we can all heal whatever we are open to healing. This experience was so powerful so I sent the manager, Jennifer, pictures of the horses who stayed closest to me, as I wanted to know their names (she knows ALL of the horses/donkeys by name). Sparkle is the horse who interacted with me the whole time. Jennifer described her as a wise being and said she tolerates no foolishness or wishy-washy communication from humans. A very grounded horse taking a very active role in Animal Reiki on that day.